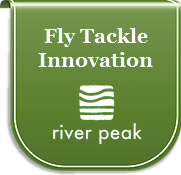 river peak Co., Ltd. (hereinafter referred to as "our company"), from customers and business partners etc. (collectively referred to as "customers"), to properly protect personal information provided to our company as a business entity handling personal information I think that it is an obligation, and we will set up its handling policy as follows. We will acquire customer's personal information in a lawful and fair way, clarifying the purpose of use. We deal with the personal information you keep within the range of the purpose of use announced or published. We will not disclose to third part except in the following cases. We will endeavor to take reasonable safety measures to prevent leaks. When we entrust handling of customer's personal information, we select outsourcers with sufficient management level and conduct necessary supervision. We will comply with laws concerning protection of personal information and other relevant norms.